Why not use our online logbook loan enquiry form to find out how much you could borrow against the value of your car. It only takes a minute of your time to enquire, and you're under no obligation to proceed with the loan. Just complete the form you can see above. Logbook Loans could be an option for applicants that have been refused elsewhere. Almost anyone can release money from their car with logbook loans, so enquire today! These are just a few advantages of logbook loans. Our logbook loans service covers all regions including the ones you can see below, and it's easy to get started. To get your free logbook loan decision, enquire online using our simple form, or call the V5 Lenders team on our freephone number. We look forward to hearing from you. Some people find that getting approved for logbook loans with an older car can be tough. In fact, most companies won’t even look at an application once they know your car is over 8 years old. The lenders we refer you to recognise the value of older vehicles, so you may still qualify for the loan you want. Our lending partners experience within the Logbook Loans industry means that they can often help those with poor credit ratings to find the loan they need. All you need to do is enquire online right now, and a Logbook lender and get back to you with a decision on just how much you can borrow against your car's value. Self-employed residents often find getting a loan tough, but this isn't always the case! 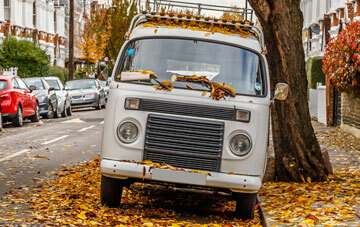 It's often assumed that getting a V5 loan only applies only to individuals and that they are only classed as a personal loan, however there are circumstances in which businesses can take out a loan against one of its vehicles. In fact they can be a great way to release some working capital or to maintain business cashflow without resorting to applying for traditional loans. Logbook Loans are a great idea for residents not able to get a more traditional loan, such as those who don’t own a property or don’t have a high level of income. They are good for those needing a short, sharp injection of cash, and our service will allow you to find just how much you can borrow subject to affordability and eligibility. The loan repayment period for your Logbook Loan depends on your own personal requirements. It can be 12, 18 or 36 months in duration. Unlike many other loans however, there are no early payment penalties, so the earlier you pay off your loan the less interest you will pay overall.